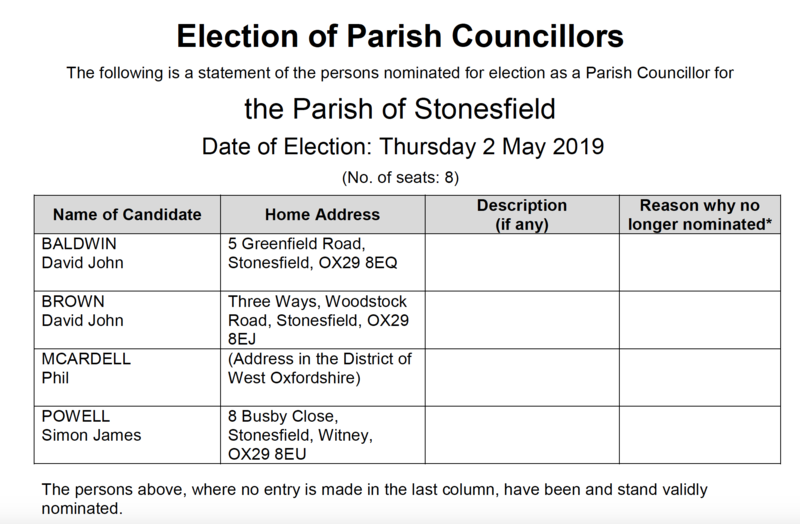 In the areas where there are insufficient candidates for a poll (such as Stonesfield), the persons nominated have been declared elected following an uncontested election, and in those where the number elected uncontested is fewer than the number of seats on the Council, the Town/Parish Council will co-opt to fill the remaining vacancy or vacancies. For the contested areas, the counts will take place during Friday 3 May. When the results are known they will be made available on the WODC website: www.westoxon.gov.uk/elections then follow the links to the results page.